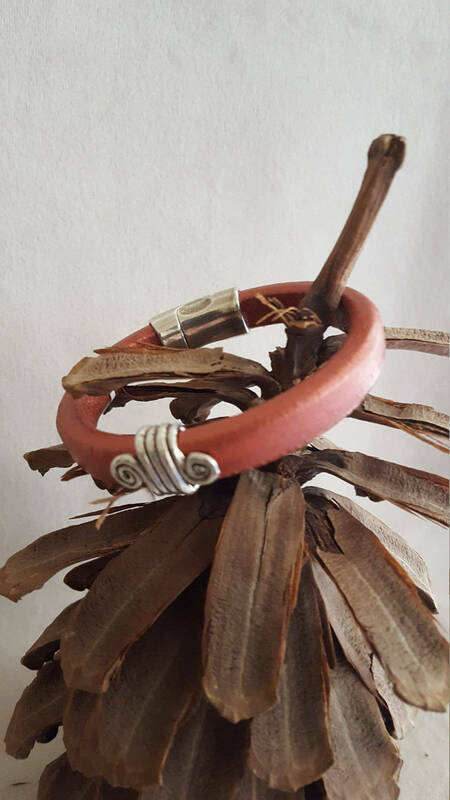 Lovely Burnished Rose colored leather bracelet with Silver swirl accent and magnetic clasp. Measures approx. 7" closed.